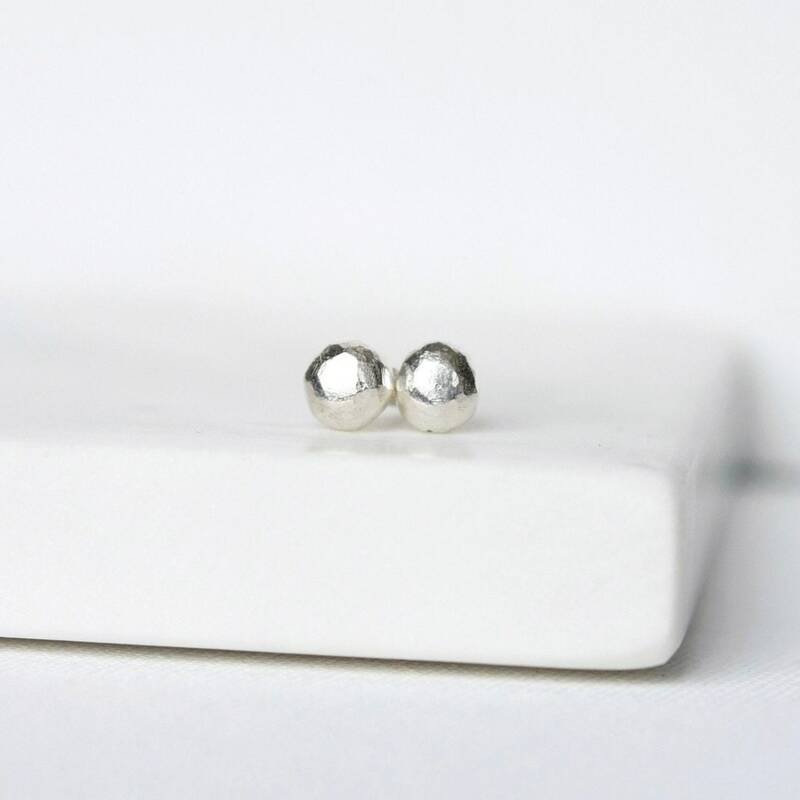 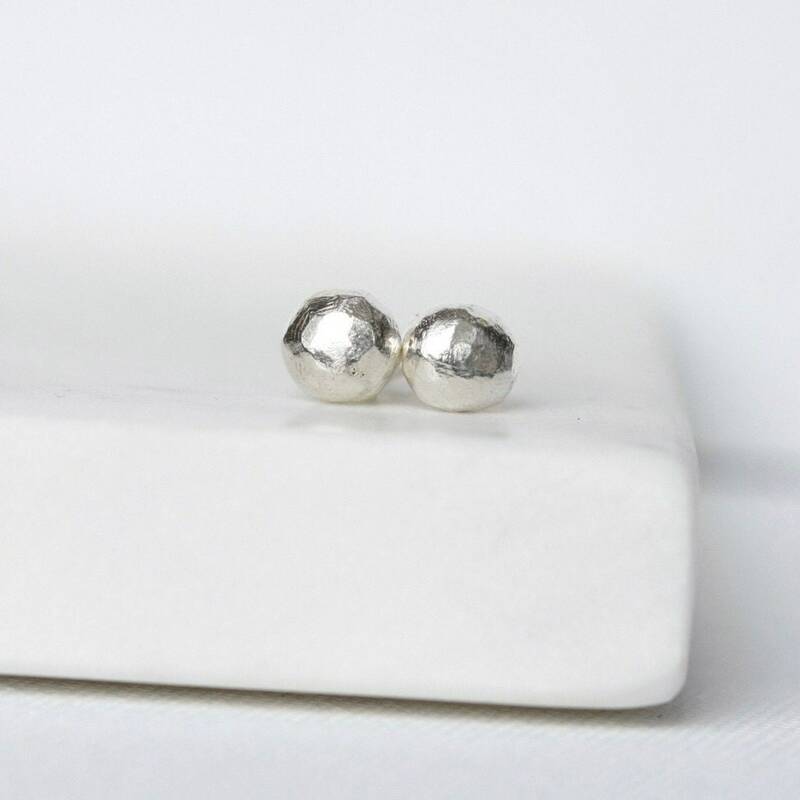 A great wardrobe staple, these freeform silver sterling nugget studs have been polished and faceted for shine. 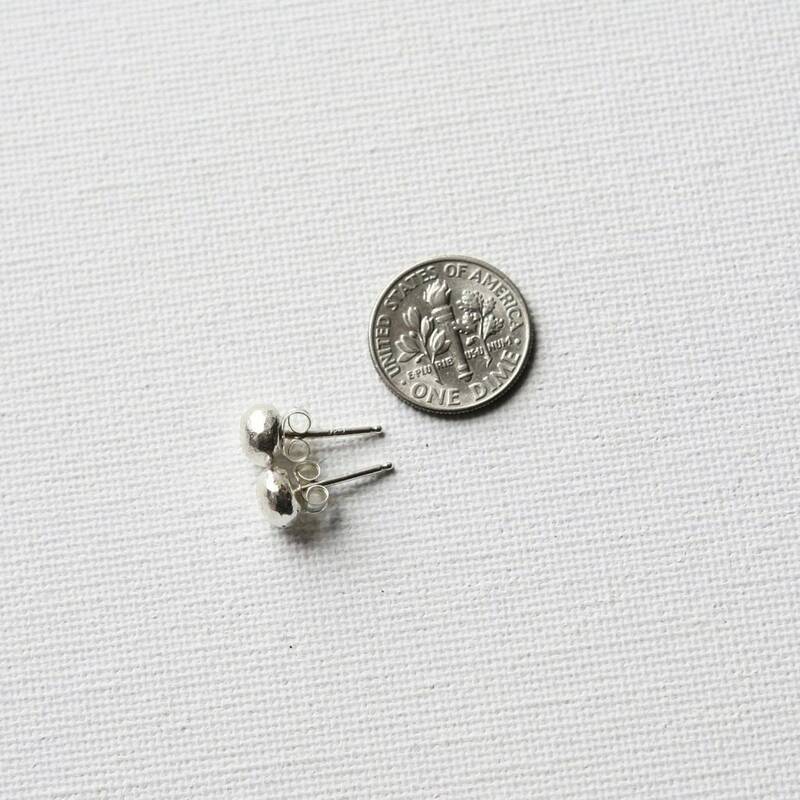 They are a nice generous size at about 7mm wide but still very comfortable to wear. 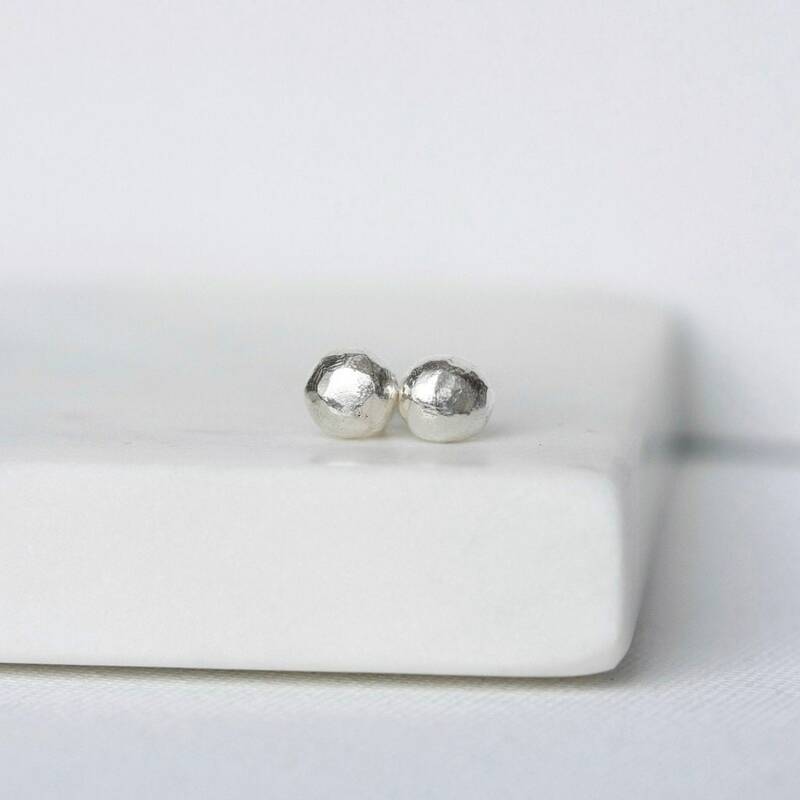 Sterling silver posts have been soldered to the fine silver and they are secured by sterling butterfly backs. 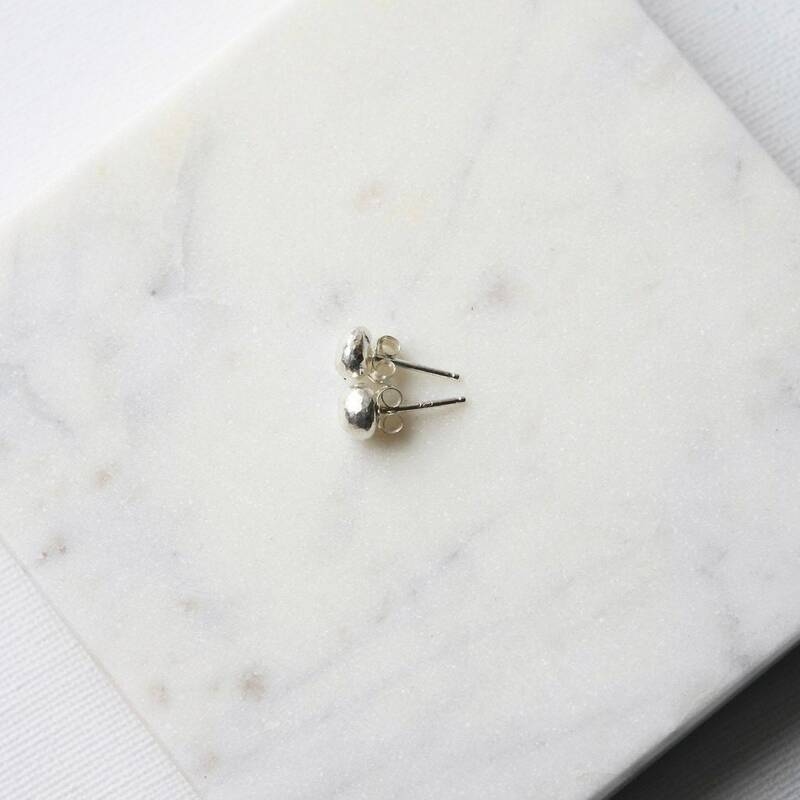 Perfect everyday earrings!